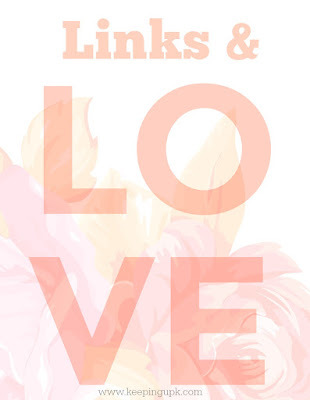 I absolutely love when Kate from the Small Things Blog does a Links + Love post so I decided to give it a whirl! I'm aiming to *hopefully* get one up once per month. There's always those random things that I think of putting in a blog post but am never quite sure where they fit in - now I have a place for them! My lips have been so dry throughout this entire winter, to the point that they are constantly peeling. I apply Blistex medicated lip balm at least 20 times a day but they are still super dry. I was so close to purchasing an $8 lip scrub in Target last week but at the last second I decided that I could probably find a DIY online with products I already have at home and I hit the jackpot when I found this article for 23 Homemade Lip Scrubs. I've been wanting a S'well water bottle for the longest time. My friend Scooby has one of the large ones and loves it but the price tag is always what held me back (though Scooby promised it was worth the price). I was pumped to find a 15 oz S'ip by S'well bottle at Target on clearance for only $12.99(!) last week. Yes, its the smaller size but it functions just the same in that it keeps my water SO cold throughout the day. I love it! I laughed so hard over the answers to this question. Something I needed after seeing all the hate/negativity floating around the interwebs this week. I'm two episodes into Game of Thrones and I am honestly shocked at how much I am loving it. Now I just have to wait until I'm back in Minnesota next weekend so I can get through some more episodes (why isn't it on Canadian Netflix?!). Back in June I watched the last few episodes from the newest season but it was so hard to follow with not knowing what was actually going on. Now that I'm starting from the beginning everything makes a lot more sense. I can't believe it's a show that I'm into but I've been realizing lately that things I thought I would hate (like the Star Wars movies...) I am actually into. Who would've thought?! I had Noodles & Company for the first time ever last week. TBH I had no idea what it was until I got through the doors, I just knew that there was one by the food court in the MOA that I have walked by many a time on my way to Chipotle. I had the Penne Rosa with the parmesan-crusted chicken breast and it was delish - it definitely won't be my last visit! Omg YES my mom bought me a clearance sip by s'well bottle with polar bears on it and I'm obsessed and seriously amazed that it really keeps things cold as long as people say! Noodles & Company is one of my go-to's whenever I go home to Colorado! The penne rosa is my absolute favorite, so glad you liked it! And YES to Game of Thrones! It's my favorite show of all time and I'm counting down the days until the next season starts... sounds like you'll be caught up by then to enjoy as well! lol @ the beauty blender article. we get noodles & company for lunch often around here and i always get the penne rosa, but no meat for me. so good!